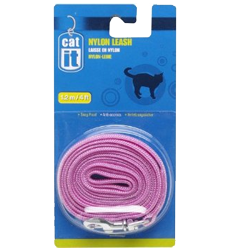 Not all cats like to go for walks on a leash, but for those that do, or those that live in a busy city and have to, we've got you covered. 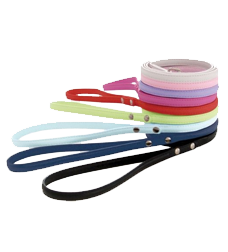 We’ve got tons of collars and leashes in a variety of sizes, colors and materials. 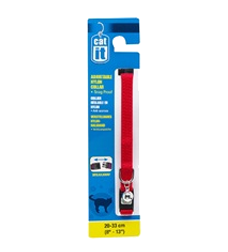 We’ve also got 10-20ft tie-outs for cats that like more room to roam. 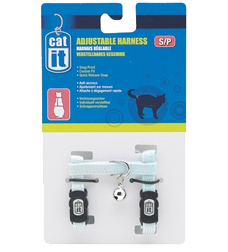 Harnesses and break-away collars even allow your cat to climb without fear of getting snagged and putting strain on his neck! 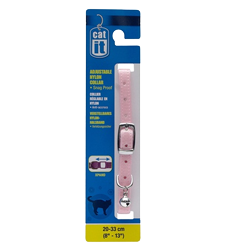 This traditional cat collar has a breakaway buckle that offers the added safety of a quick release when your cat is in a snag. 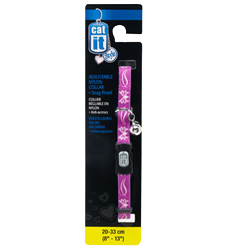 Lightweight plastic D-ring for ID tag. 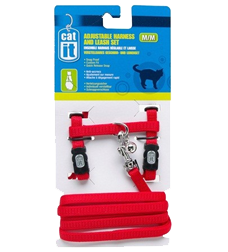 For when your favorite feline wants to take you for a walk. Several size and color options. For cats on the go! 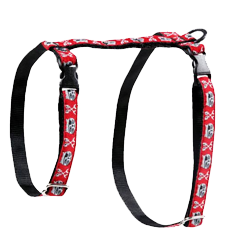 The Kitty Harness is fully adjustable, fun to wear and easy to put on. 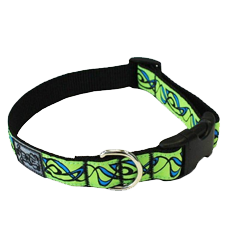 Catit Style walking apparel offers a wide selection of collars, leashes, harnesses, and harness & leash sets in an array of trend-setting patterns and color palettes, in sizes fit for all stages of cat development.